Accommodation will provide you with a flat-screen TV and air conditioning. There is a full kitchen with a hob, coffee machine, and microwave, and the bathroom has a bath and free toiletries. Activities in the surrounding area include water sports activities such as scuba diving and there are many beaches and coves to choose between. Pension La Linea Cartagena s/n, Puerto de Mazarron Score from 25 reviews: Good 7.6 Offering a restaurant serving Spanish cuisine, Pension La Linea is located 200 metres from the beach in Puerto de Mazarron. This guest house has air-conditioned rooms with private bathrooms. More Each simply decorated room features a flat-screen TV, balcony and wardrobe. The private bathroom has a bath or shower. Tapas and local specialities are served in the on-site restaurant, and a set daily menu is available. La Linea offers free WiFi is in public areas. The pretty coastal village of Bolnuevo is a 10-minute drive from the property, while Cartagena is 30 km away. 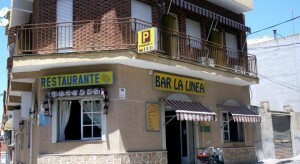 The city of Murcia is 70 km from Pension La Linea. 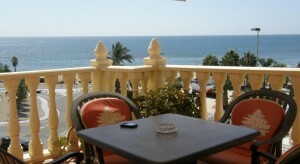 Villa Amillio is a detached villa with a terrace, situated in Puerto de Mazarron in the Murcia Region. 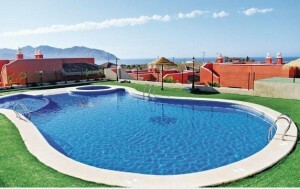 The property is 47 km from Murcia and boasts views of the pool. Free WiFi is featured throughout the property. The kitchen is equipped with a dishwasher and an oven, as well as a kettle. A flat-screen TV is offered. There is a private bathroom with a bath. 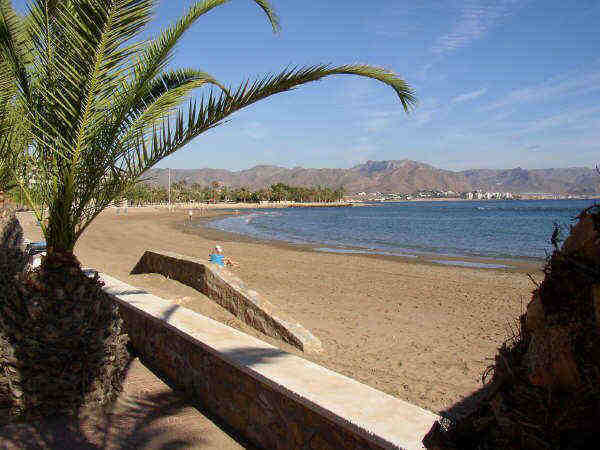 Cartagena is 22 km from Villa Amillio, while La Manga del Mar Menor is 47 km from the property. Murcia-San Javier Airport is 44 km away. Puerto de Mazarron Puerto de Mazarron Offering an outdoor pool, Puerto de Mazarron is located in Puerto de Mazarron. The accommodation will provide you with a TV and air conditioning. There is a full kitchen with a refrigerator. More You can enjoy sea view from all the rooms. Extras include a washing machine. 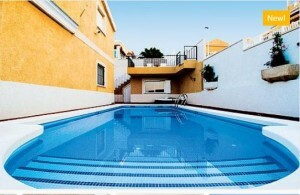 This holiday home is 48 km from Murcia-San Javier Airport. A local beach at Mazarron on the Costa Calida. The beautiful Bay of Mazarron boasts more than 35 km of coastline, along which you will find an array of long sandy beaches, cliffs, clear waters and unspoilt coves, surrounded by picturesque mountains. This privileged coastline offers the very best weather conditions with more than 300 sunny days a year and an average year round temperature of 18°C, making the Bay a real paradise. The waters offer the chance to practice many water sports including canoeing, sailing windsurfing, Jet Ski’s and all year round diving. Take a stroll down the promenade or around the busy streets of the Port and you will find many bars and restaurants offering excellent cuisine and local wines served in a friendly and relaxed atmosphere. From Mazarronbay ( with its varied and numerous beaches) to the inland region of Lorca ( with its sierras), you can discover the mediterranean character through its monumental patrimony, its gastronomy and of course its fiestas.